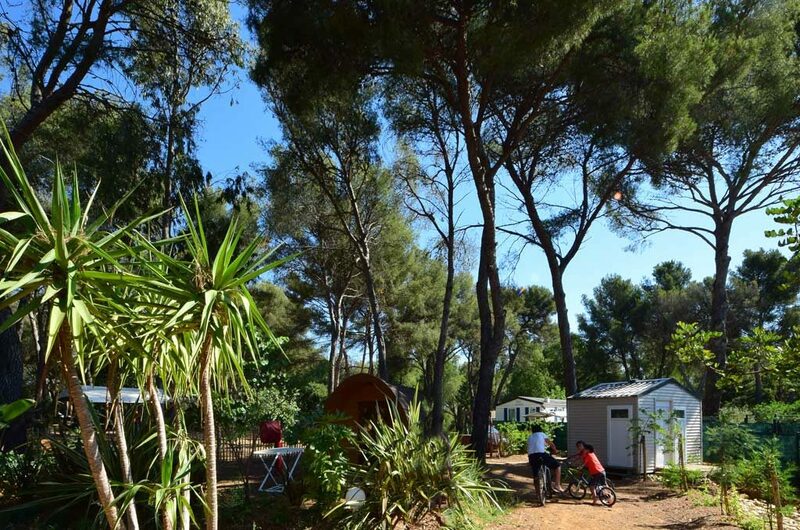 Camping de La Pascalinette® is deeply committed to environmental protection and sustainable development. In 2018, your favourite campsite in the Var area, South of France, Provence-Mediterranean, was once again awarded the Clé Verte label (obtained and renewed since 2013). This international environmental label relates to tourist accommodation and guarantees eco-friendly practises and equivalent rates, in respect of local resources and inhabitants. 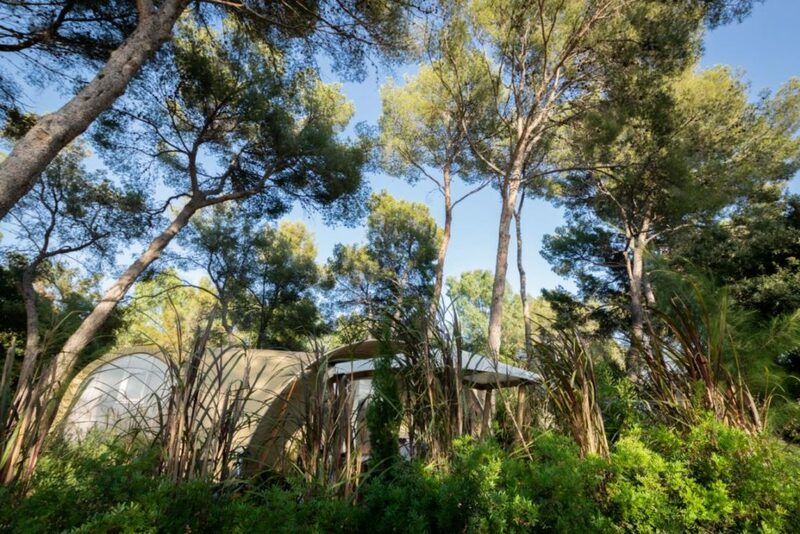 The campsite has launched a variety of projects to protect our beautiful Provencal scenery. We have installed low-flush toilets (less than 6 litres) in all the campsite’s mobile-homes and sanitary facilities. We have also reduced tap water consumption by installing Presto taps and actively supervising leaks, etc. We water our vegetation at the coolest times of days and make mulch to preserve the water needed by our plants. 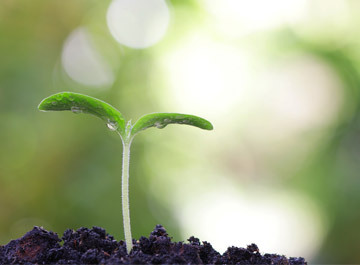 This also allows us to regenerate the soil (and hence life) faster and nourish the campsite’s already-rich microfauna. Several alleys are fitted with solar lighting and we have installed low-consumption bulbs in all our accommodation and premises. 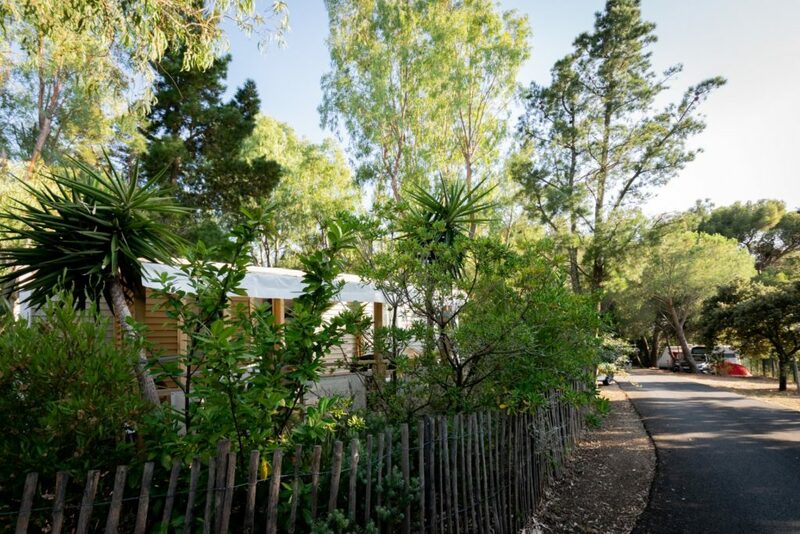 For many years, the campsite has chosen to use only eco-certified and natural products to clean the campsite’s sanitary facilities, mobile homes and other premises. Recycling bins are located at the campsite exit. We use them for all recyclable waste products and invite you to join us. We reuse printed paper for taking notes. You will find a used battery container at the campsite Reception. The batteries are then taken to recycling centres in Hyères or Londe-les-Maures. Mattress covers used in mobile homes are collected and sent back to our supplier for recycling. As far as possible, the campsite restaurant purchases from local producers to favour short circuits, avoid cargo and air transport and reduce our carbon footprint. We also partner with local businesses, in particular for bicycle hire, so you can get around easily while respecting the environment. Every Monday and Friday in July and August we hold a market at the campsite, with local producers and craftspeople. Camping de La Pascalinette® strives to work with local businesses for all its needs (electrician, plumber, air-conditioning, etc.). All plants and trees at Camping de La Pascalinette® benefit from a soil enriched with natural fertilizer (sheep manure and compost). 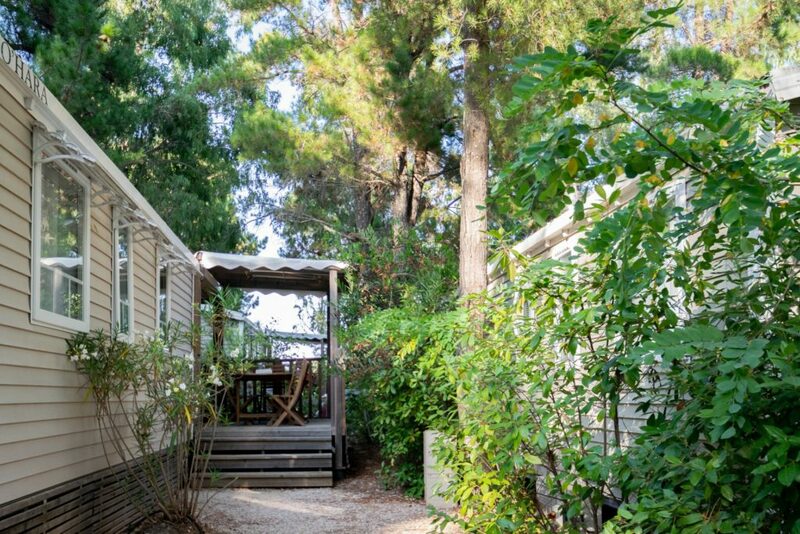 Every winter, we dedicate a large amount of time to renewing Camping de La Pascalinette®’s exceptional vegetation. In the last 10 years, we have planted over 19,000 flowers, plants, shrubs and trees (hedges, water park, tree renewal, etc.) for the greatest pleasure of our eyes and to favour oxygen production! Aleppo pines are a fabulous source of oxygen on the French Riviera – their needles are among the South of France’s most efficient filters! They are the most commonly-found species at the campsite and a favourite hiding place for our cicadas. You will see lots of them along our beautiful botanical footpath. Our exceptional vegetation means the campsite is also home to many animals – and we take good care of them! 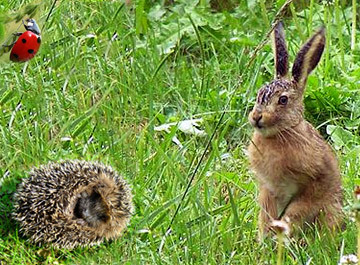 Foxes, hares, birds and hedgehogs are protected from hunters thanks to the fences around the campsite. We also put out fat for the birds in winter and are in contact with BirdLife and veterinary services in case we come across any injured birds. Depuis 2012, le camping est labellisé Tourisme&Handicap moteur et mental, et toute l’équipe est réellement engagée envers les personnes en situation de handicap. Le camping est partenaire et soutien financier de l’association « Un fauteuil à la mer », qui permet aux personnes en situation de handicap, et notamment en fauteuil, de pouvoir pratiquer des activités aquatiques en Méditerranée (bateau, jet-ski…). The campsite was awarded the Tourism&Handicap label for both physically and mentally-challenged guests in 2012 and out team is deeply committed to offering disabled guests a faultless service. Our campsite also partners with and financially supports the association Un Fauteuil à la Mer, which allows disabled visitors, in particular in wheelchairs, to enjoy Mediterranean water sports (boating, jet ski, etc. ).